700+ adoptions and counting. Help us make a difference in more lives! 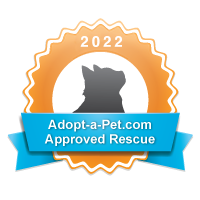 Rescue Junkie, Inc is a (501)(c)(3) dedicated to actively saving the lives of homeless animals in rural shelters in NE Florida. We are based solely on volunteers and rely on our foster homes to provide our rescue dogs & cats with temporary shelter while veterinary medical care is given and loving, adoptive homes are located. These are just a few of the local organizations that help us do good.